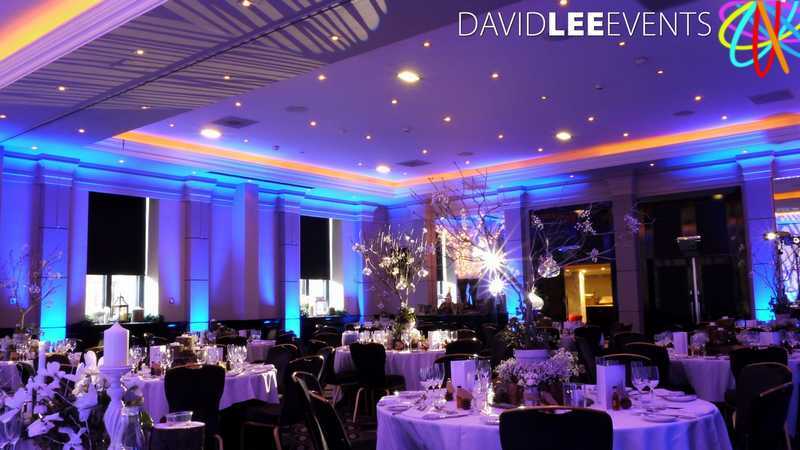 Radisson Blu Edwardian in Manchester City Center is a fantastic venue for your wedding or Event. 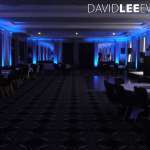 I’ve been here a few times but unfortunately for you guys, I’ve always been asked for blue uplighting here. 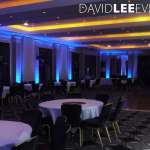 Once for only blue uplighting, once with blue uplighting and the venue own orange lighting. 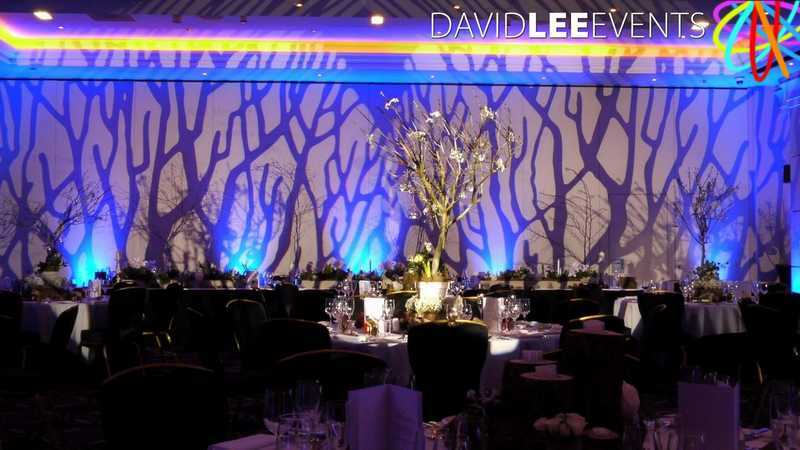 And once with the blue uplighting plus gobo projection of branches to go with the couples ‘earthy’ theme. Just to let you know gobos are image on discs that you put in lights to project that image onto walls, ceilings, floors etc. 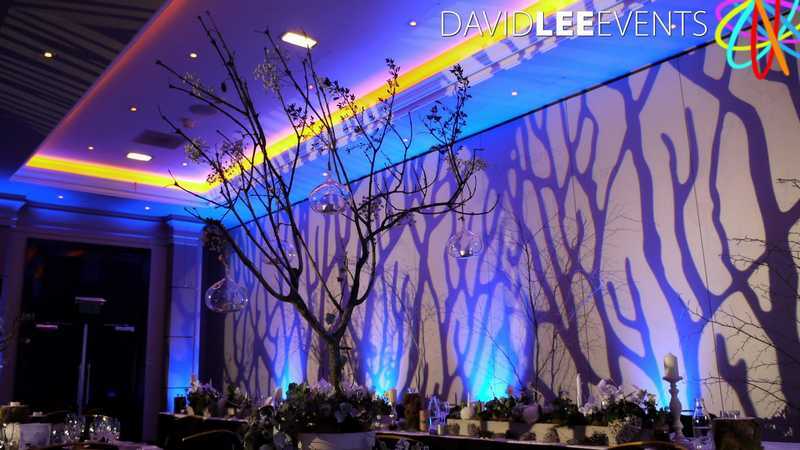 You can get generic ones like branches, stars and hearts for example. 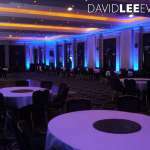 You can get personalised ones with your names or corporate logos made. 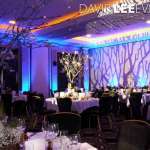 On this occasion bridge & groom wanted branches to go with their ‘earth’ theme. And it also matched their table center. 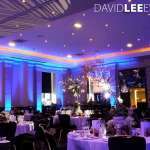 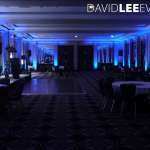 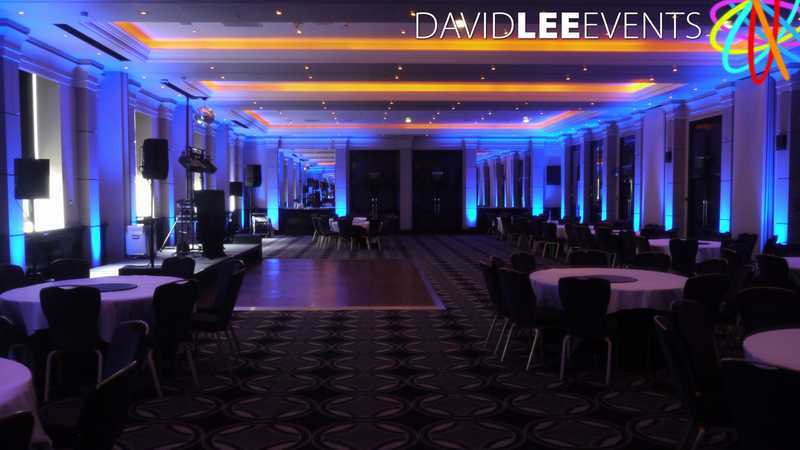 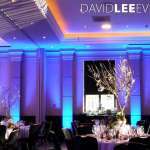 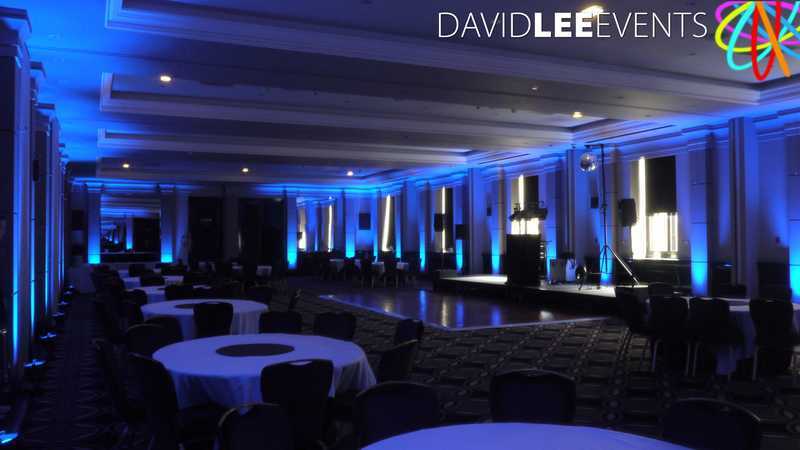 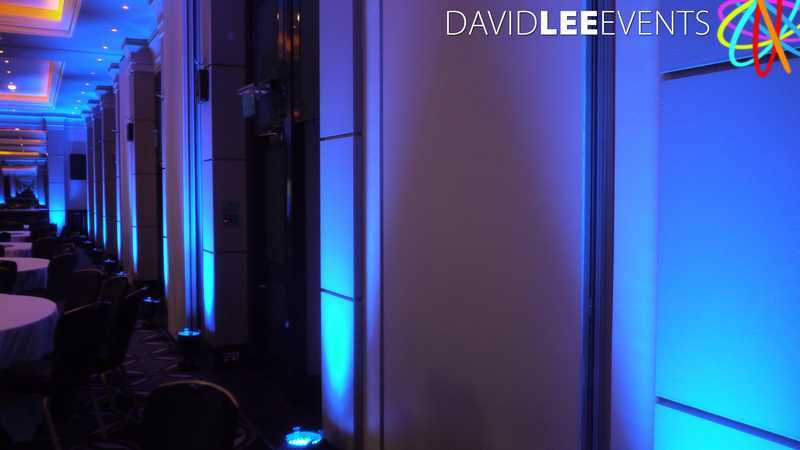 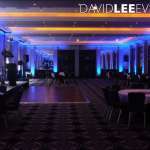 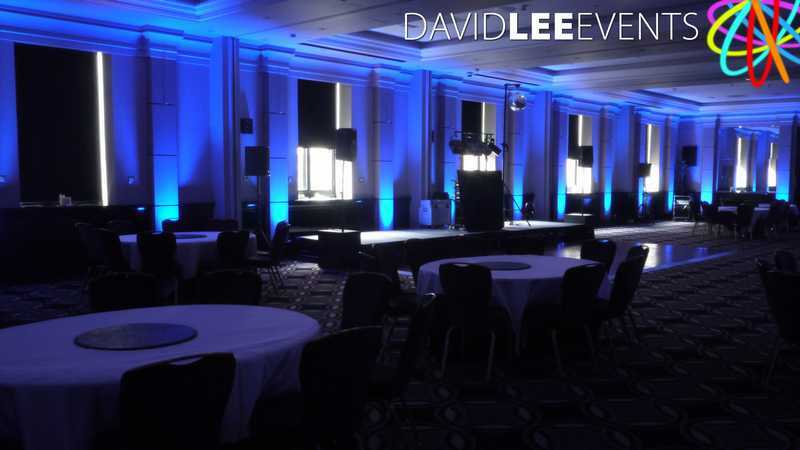 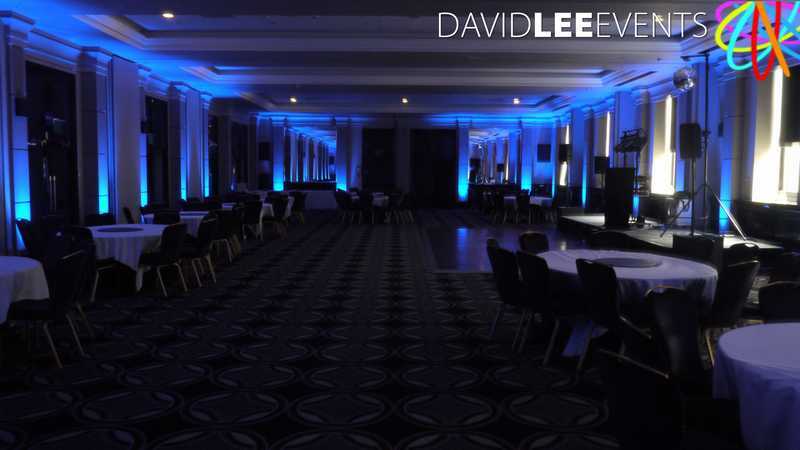 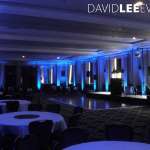 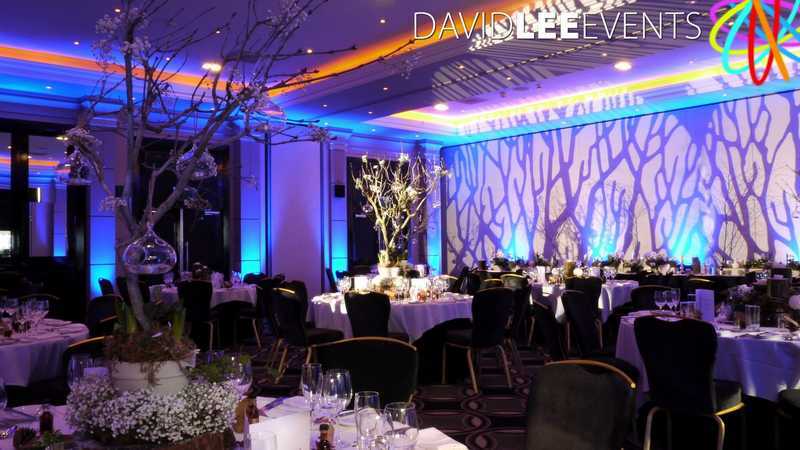 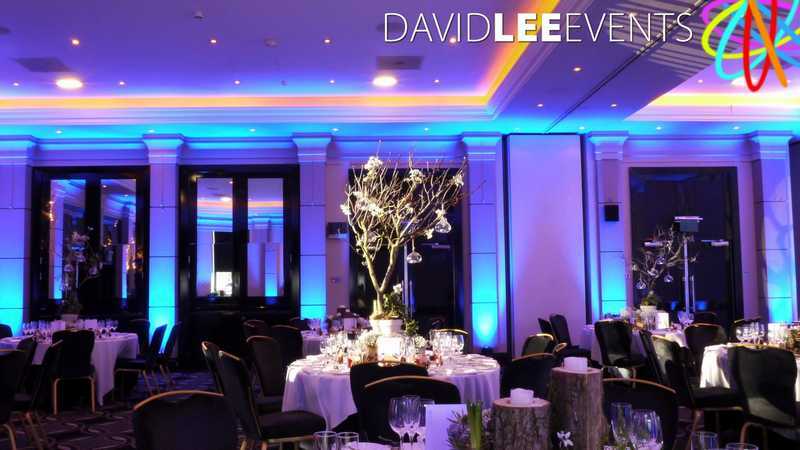 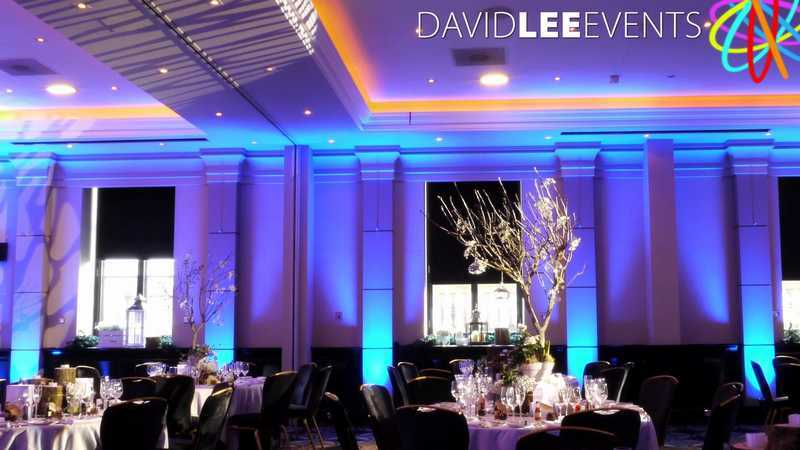 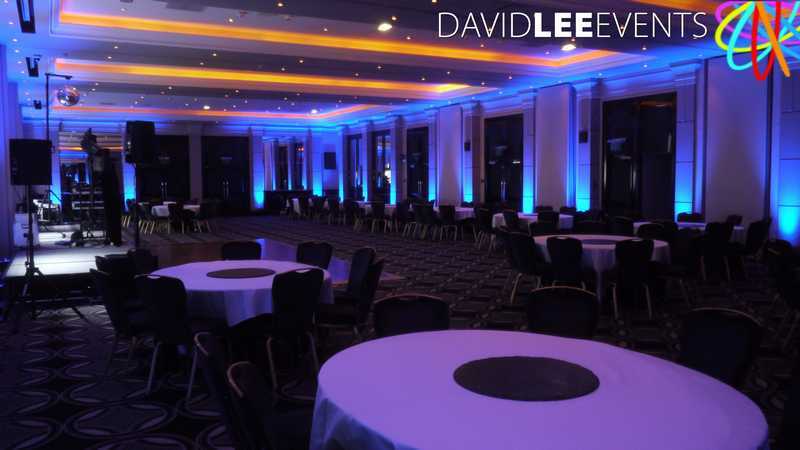 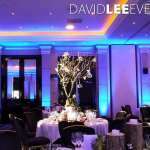 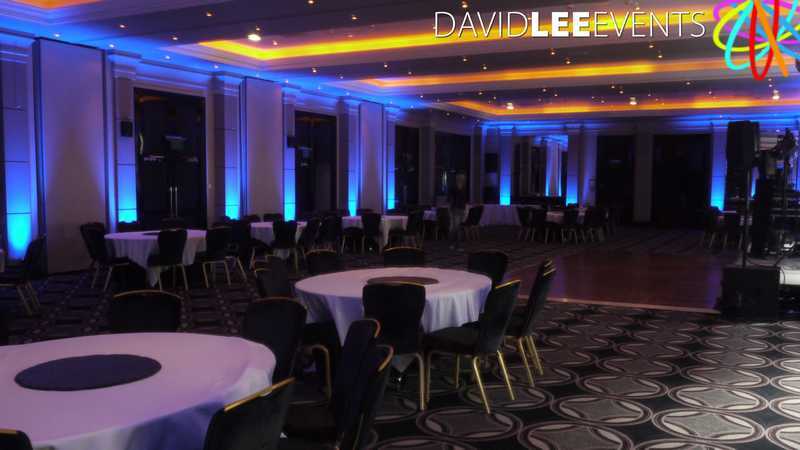 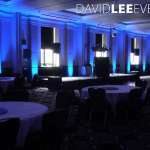 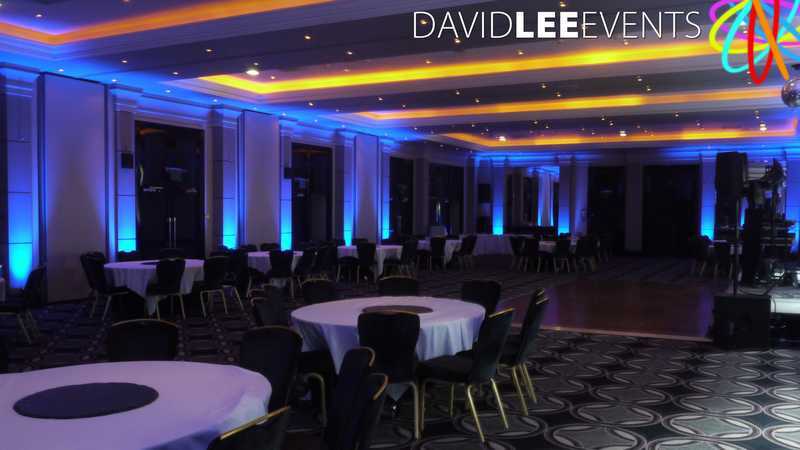 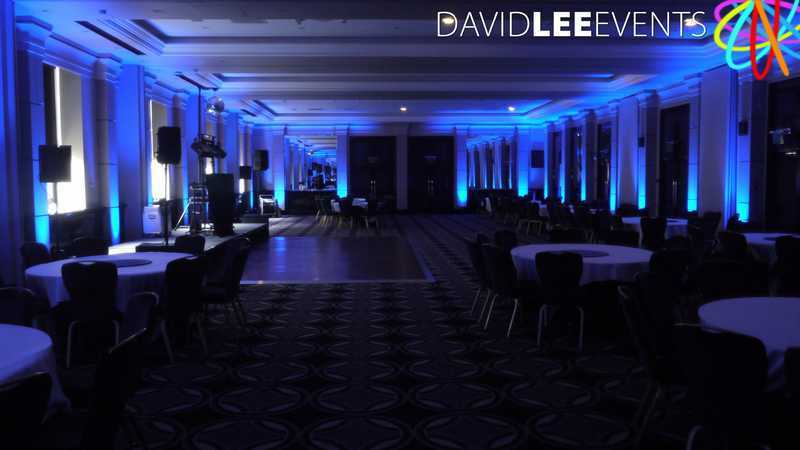 If you have any questions about uplighting, image prpojection or any other type of venue lighting at the Radisson Blu Edwardian Manchester or any other Manchester city venue, please do not hesitate to get in touch. 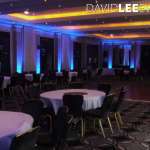 I ma more than happy to discuss ideas and demonstrate at my unit/office. 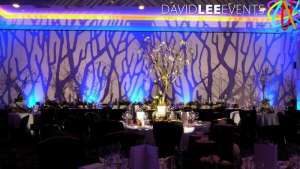 Please check my other venues for other colours and effects for ideas as to how to create that wow factor at the Radisson Blu Edwardin Hotel in Manchester City Center.